Effective immediately, the mailing address for NorCal Collie Rescue has changed and will now be as follows. Contact us at info@calcollierescue.org, or contact an area coordinator directly. 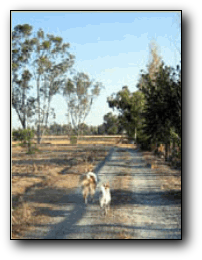 Area Coordinators are responsible for all activities of collie rescue in their area. They coordinate our volunteers for shelter checks and pickups, home checks, foster homes, and all aspects of adoptions. NCR needs more volunteers! Many shelters in Northern California and border areas of Oregon and Nevada remain uncovered by NCR. If you live near a shelter and could devote some time once a week or two weeks to check the shelter for purebred collies, please get in touch with the area coordinator nearest you. We need more volunteers to cover northern California and nearby areas. The collies need you! Owner surrender: If you are considering rehoming your collie, please contact your nearest Area Coordinator. NCR may be able to help you find the right home for your collie. NCR foster homes may be full, but NCR can help you with options for rehoming your collie. Please inquire with the area coordinator nearest you or email: info@calcollierescue.org. Although NCR does not yet require an owner surrender fee, a donation for our services in finding your collie a good home would help your collie and other collies needing homes.. 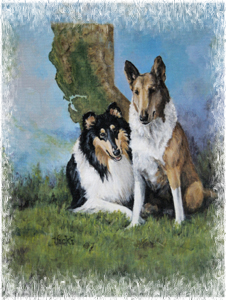 Referral page: Owners wishing to place their collies may also use our referral page and deal with potential adoptive homes directly without involving NCR services. We hope that you consider a donation to NCR for providing this opportunity to attract adopters, who may well be from our pre-approved screened adopter waiting list. Because NCR is a tax-exempt rescue, the referral page cannot be used by anyone for selling dogs. Adopters: Please see adoption information page! To adopt a NCR collie, send an adoption application to the area coordinator nearest you or the area coordinator handling an available collie.